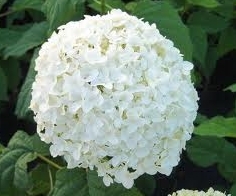 Twist and Shout Hydrangea is a very popular member of the Endless Summer Hydrangea family, and for good reason. This newest member of the family was introduced in North America in 2009, and was developed at the University of Georgia, combining the best traits of Penny Mac and Lady in Red. The blossoms vary in color depending on the acidity of the soil. The bountiful blooms are unique with centers of lacy pink caps, surrounded by petals of varying shades of pink and periwinkle blue. 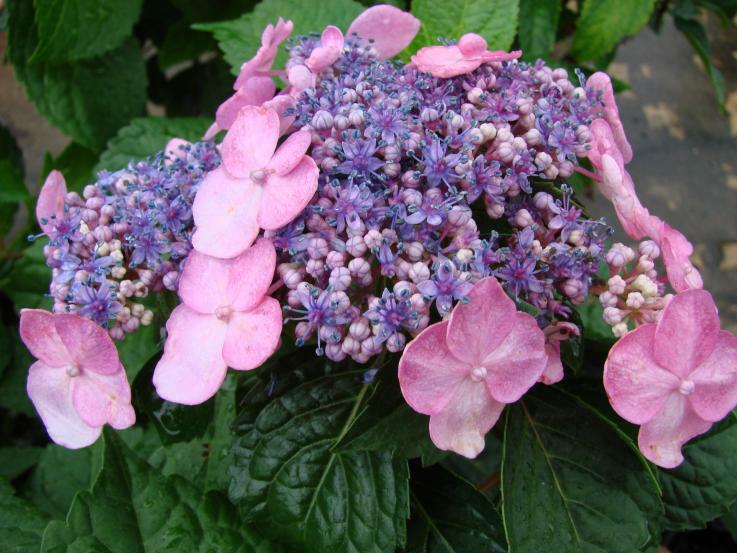 The Endless Summer family of Hydrangeas are easy to care for and are winter hardy in zones 4-9. They bloom on both old and new wood, providing gorgeous large blossoms of color throughout the summer. Twist and Shout Hydrangea Endless Summer do well in partial shade (morning sun and afternoon shade seem to work best) and soil that is kept moist, but not wet. The stems of the shrubs turn red, and the foliage burgundy-red in the fall. Shrubs grow to 3′-5′ in height and width and work well as a focal point in a garden, or as a backdrop for other perennials and annuals. 1) Locate an area that receives approximately 1/2 day of morning sun where the shrub will have room to grow to its full size of 3′-5′ in diameter and height. 2) Dig a hole that is 1 1/2 times the size of the pot that the plant is in. 3) Tipping the plant upside down, remove it from the pot and loosen the root ball. 4) Center the root ball in the middle of the hole and add enough soil back in so that the top of the root ball is even with the top of the hole. 5) Fill the hole with water until it is 1/2 full. 6) Fill in the remaining hole with dirt and pack down securely. 7) Water around the base of the plant, then cover with mulch. 8) Keep the soil moist, but well drained. 9) Fertilizer can be added in the spring, but should not be applied after August. 10) Foliage can be trimmed back in the fall after a killing frost, but may also be left for winter accent in the garden. Twist and Shout Hydrangea is a wonderful addition to a landscape, providing four-season beauty in the garden, with very little maintenance.